"We have been so impressed with Pat! 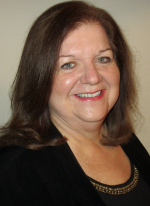 Over the past years Pat has assisted us numerous times with buying and selling our homes. We have and would recommend her to anyone needing to buy or sell a home. Pat is not only extremely professional, knowledgeable, FRIENDLY and helpful, she truly cares about her clients. Thank you for helping us with what can be a very stressful time in life." "Mom and I just wanted to thank you for all the hard work you two ladies and Re Max did for us. You made a difficult job from so far away much easier to get done.